The novella will be pulled from my website on November 15 and will no longer be available to be read. As the fallout from J.R. Simmons death begins to settle, some of the victims are still dealing with the results of that deadly night. Rose mourns the changes in her life and struggles to move on. Neely Kate is devastated when Joe leaves Henryetta two weeks after his father’s death and refuses to speak to her. Joe is left dealing with his father’s business and the consequent FBI investigation, while he wonders where he belongs. But when Rose’s former neighbor’s family dog runs away, Neely Kate convinces Rose to look for the pet and both discover a few things about themselves along the way. I am excited, can’t wait to read this new installment, you have wet my appetite for more of this saga. Love the way this is headed. Hope all works out for Joe. I am on his team, he deserves some happiness. WHAT!!!!!!!!!!!!!!!!!!!!!! I THOUGHT THE OTHER BOOK WAS UR FINAL BOOK!!!!!!!!!!!!!!!!!!!!!! OH WELLL MORE ROSE GARDENER FOR ME.!!!!!!!!!!!!!!!!!!!!!!!!! I just let 2 of my friends know , that are currently finishing up the series. All I can say is Yeeaaaaaaa!!!!!!! I was so sad to read that the Rose Gardner series was over, then I discovered there was going to be more. Again… thank you for not leaving her, there are so many people who really, really love this character! Besides, I can’t wait to see more action for Jed and Skeeter! I need more Rose Gardner! Can’t wait for the new series! I don’t know if I can go on without Mason. I really need Mason back … please please please please please !!!!!!!!!!!!!!!!!!!!!! PLEASE BRING MASON BACK !!!!!!!!!! I can’t wait for more of Rose. Just finished the last one…..
just finished last one… i read all of the books in a month! .. i love the characters they seem so real……. but i want it all to be wrapped up.. let’s see rose in love , married, and joining the police dept…. I am so happy that there will be more to this series. I have never loved reading so much as I have with this series. I have to agree that I love Mason and hope that he will return to the series. I have been so upset that it ended the way it did with them. So excited to read more! Where do I find skins of the father part 1 for reading on your site. You need to be a newsletter subscriber to gain access to the page with part one of the novella. In the top right hand corner of this page, you can sign up. Within a few hours, you’ll get a welcome email with the link to the page and the password. I signed up but am not getting a he email with the link. I love this series. I signed up for the newsletter just signed up for the newsletter. Is there a way to still get the link to the page and the password for the sins of the father part 1? That sounded dumb…sorry I should have re-read that before posting! Whoops! Just finished part 2 of “Sins of the father”. It is going to be a long month!! Can’t wait for the final installment! As in love with the characters as the first time a read 28 and a half wishes!! So glad Rose’s story will continue, I am so not ready for her story to end!! Will the Rose Gardner story continue under Rose Gardner Investigations? Sins didn’t sound like the end. I must have missed it, I even had a reminder set up to look for it. I got the link you just sent – Thanks so much!! The links in the newsletter take you to a page to enter the password. I usually copy and paste the password into the field. It should then take you to the page to read the PDF file. At the bottom of the PDF there’s a “Click here” if you’re having trouble reading this page, and it will pull the PDF up into an full size screen. 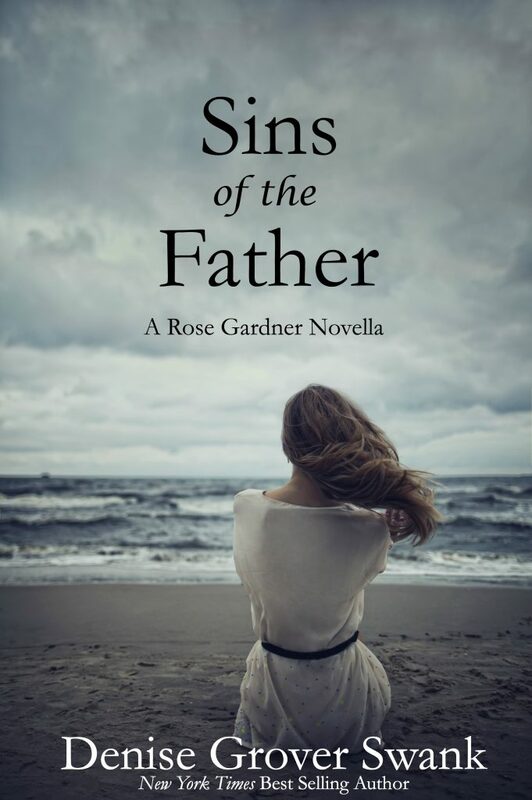 i am hooked on rose Gardner and her friends having trouble opening sins of the father . I cant wait to keep continuing the adventures . I am going to add your rose and the gang to my christmas wish list.